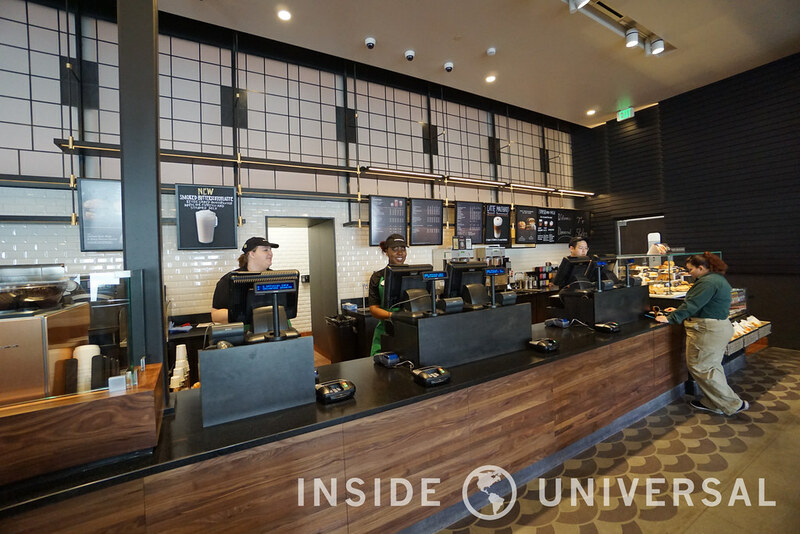 Universal debuted Universal Boulevard today, featuring a larger Universal Studios Store and a new Starbucks embedded in a new spectacular new stretch of facades that line Universal’s main thorough way. 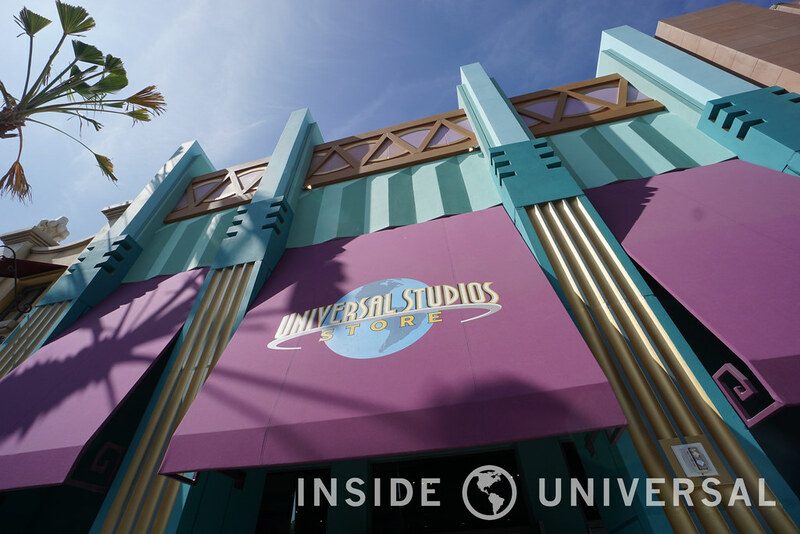 Replacing the hodgepodge that marked Universal’s previous entrance (most notably Universal’s House of Horrors and Hollywood Photoland), the new facades feature Art Deco architecture based off landmark buildings found across the Los Angeles area – with homages given to Hollywood greats such as famed make-up artist Jack Pierce and producer Irving Thalberg in the form of store front labels and window displays. 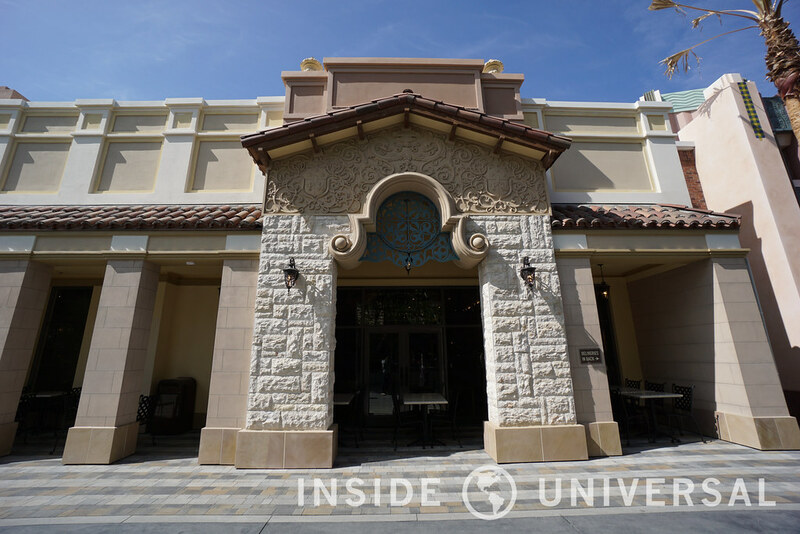 Universal’s founder Carl Laemmle is also given a nod with a faithful recreation of Universal’s early Universal City headquarters and a marquee promoting Laemmle Apartments. 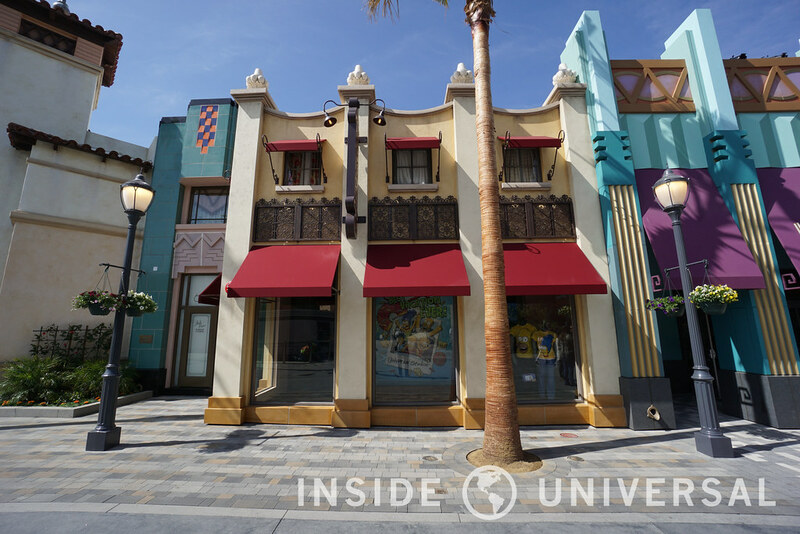 The new stretch of Universal Boulevard also connects to British-themed Baker Street perpendicularly, with Westminster-themed facades that match neatly into the existing London facades. 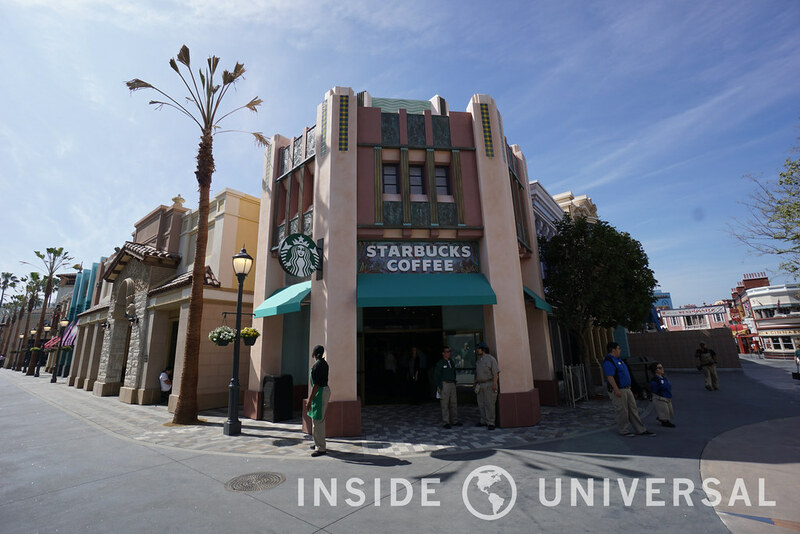 However, while Universal Boulevard aims to streamline Universal’s main roadways, the new stretch also aims to expand the park’s existing infrastructure with a new Starbucks and a larger Universal Studio Store. 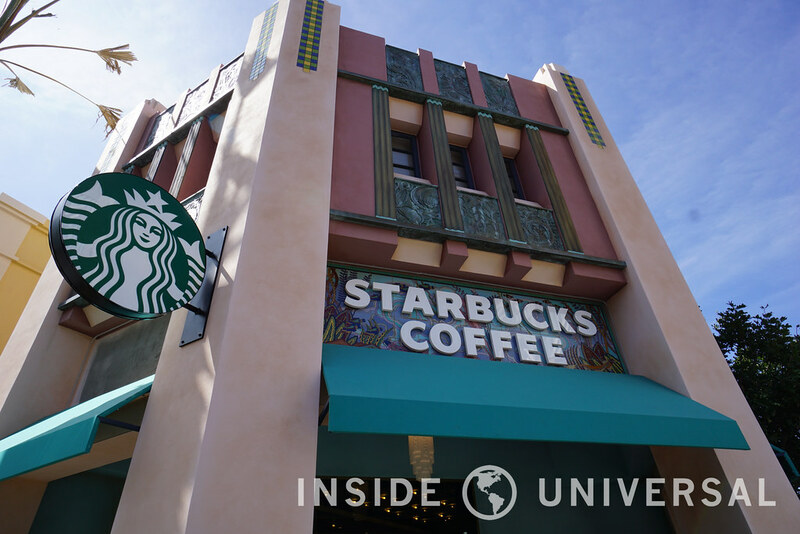 Featuring beautiful Art Deco tiled floor and exterior that hearkens back to the early days of Universal Studios, the new Starbucks noticeably features a larger interior than the Starbucks located on the Lower Lot (with some reports claiming that this new location rivals Disneyland Resort’s in-park Starbucks in size). 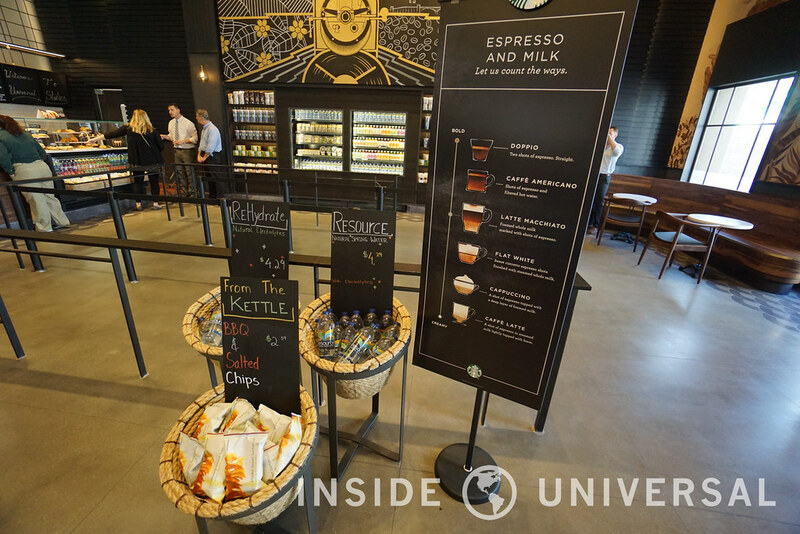 There’s also beautiful LED lighting inside alongside the serving area with a small seating section for guests to enjoy their drinks and snacks inside. 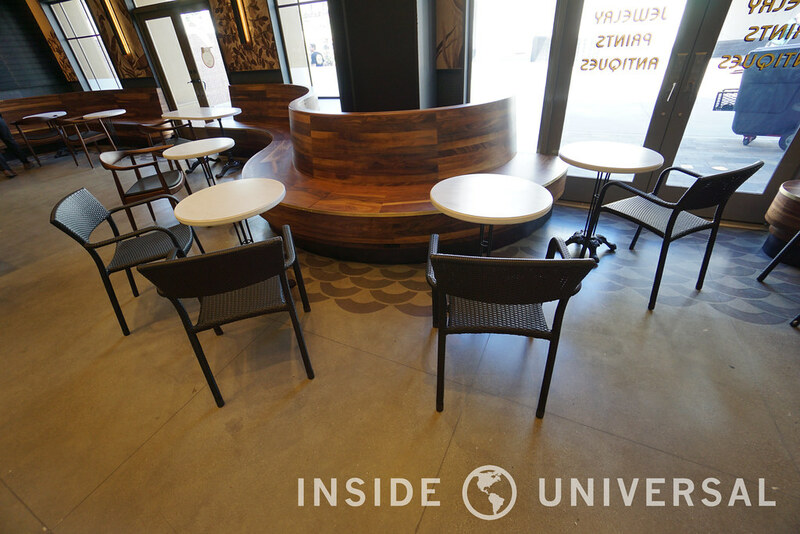 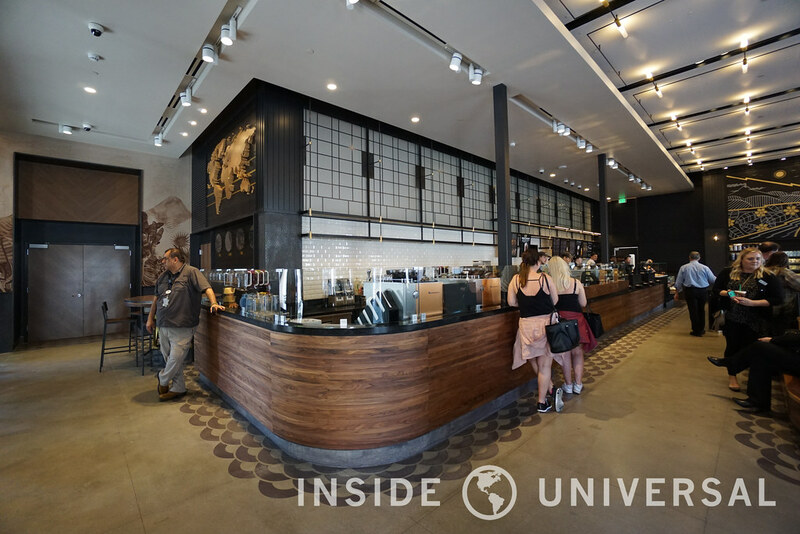 Outside of Starbucks, the Universal Studio Store has also expanded with additional floor space and a revitalized interior. 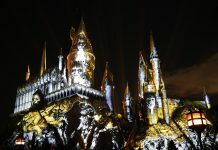 As one could expect, this expansion focuses heavily on the park’s latest franchise, Harry Potter. 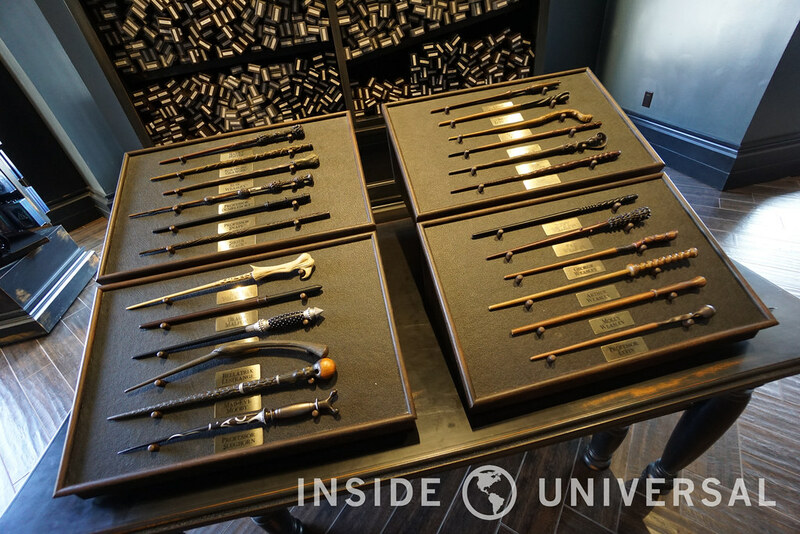 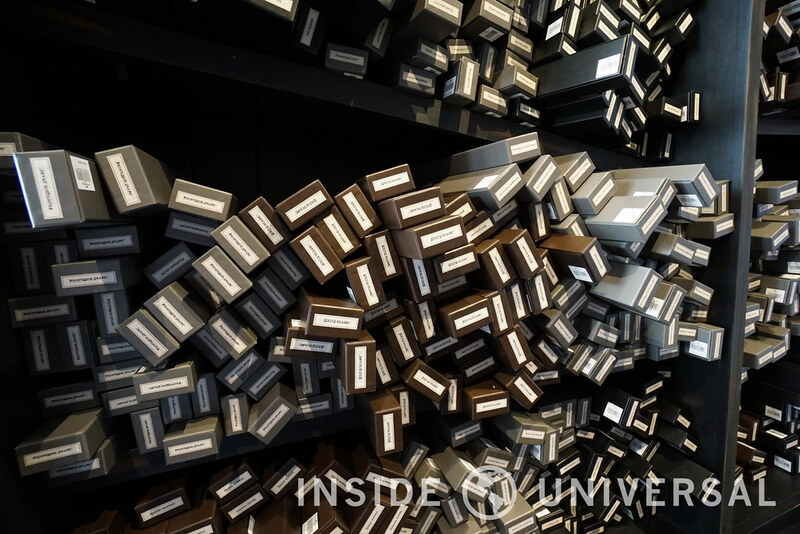 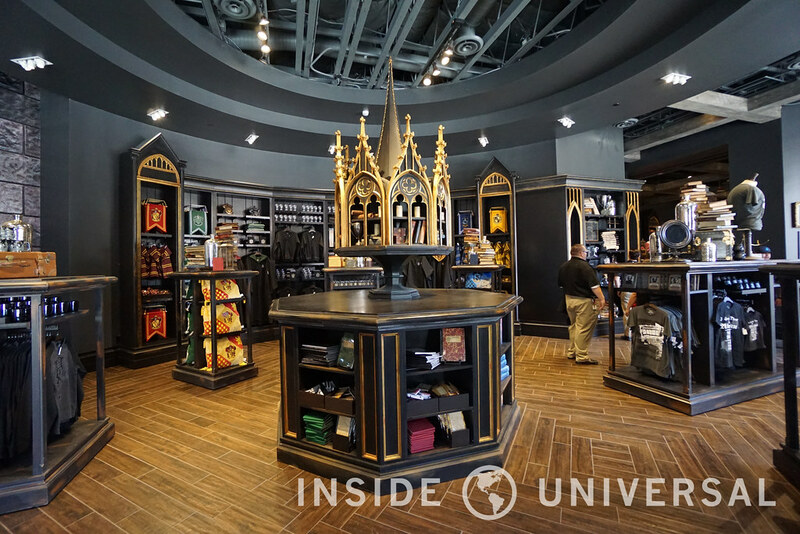 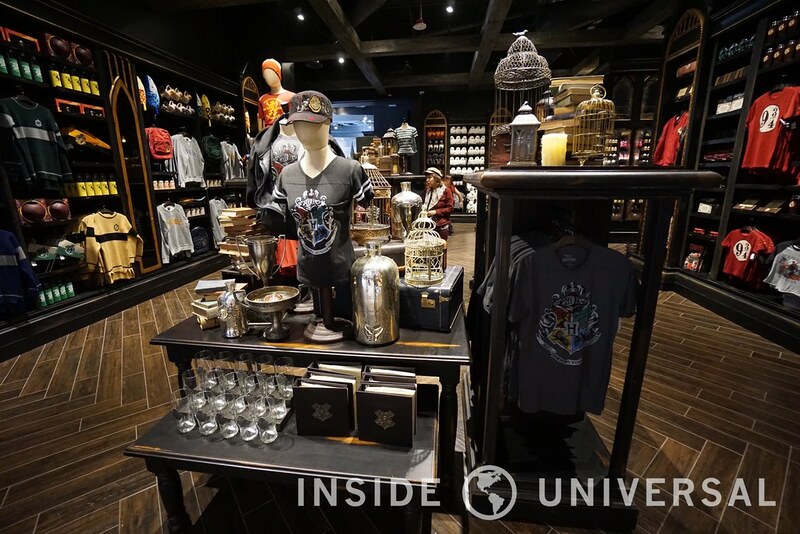 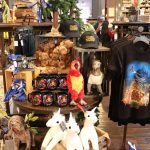 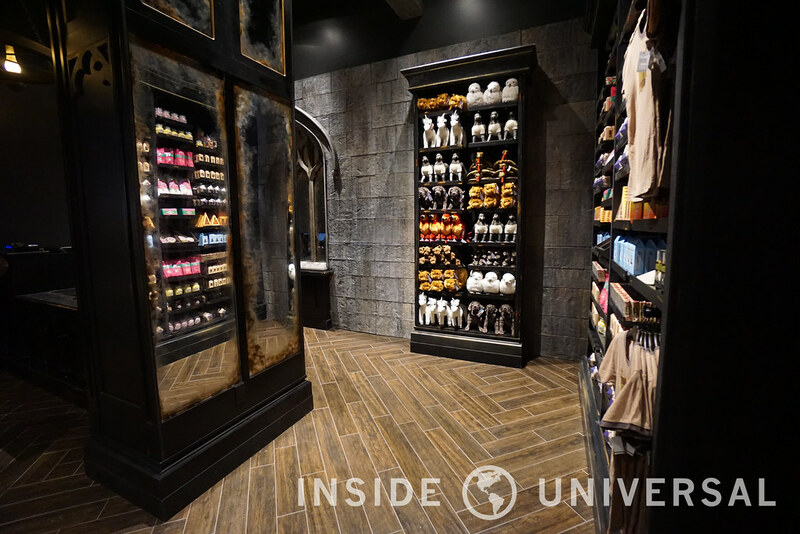 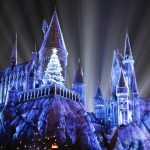 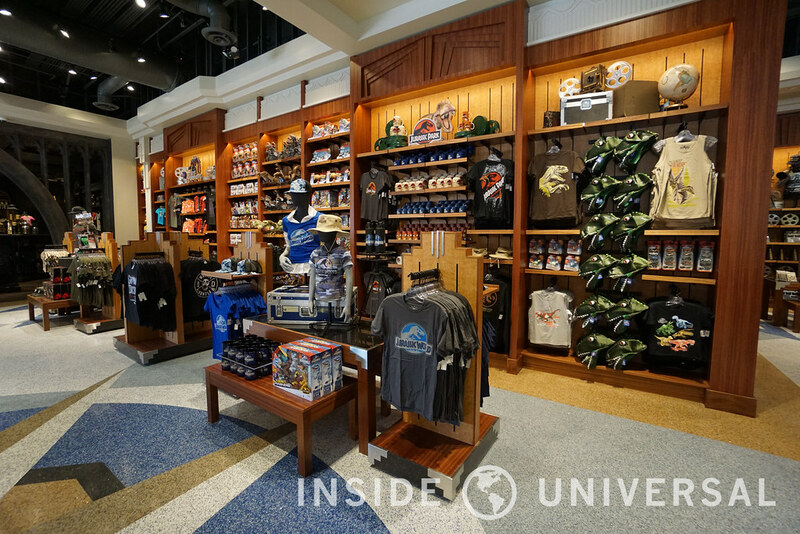 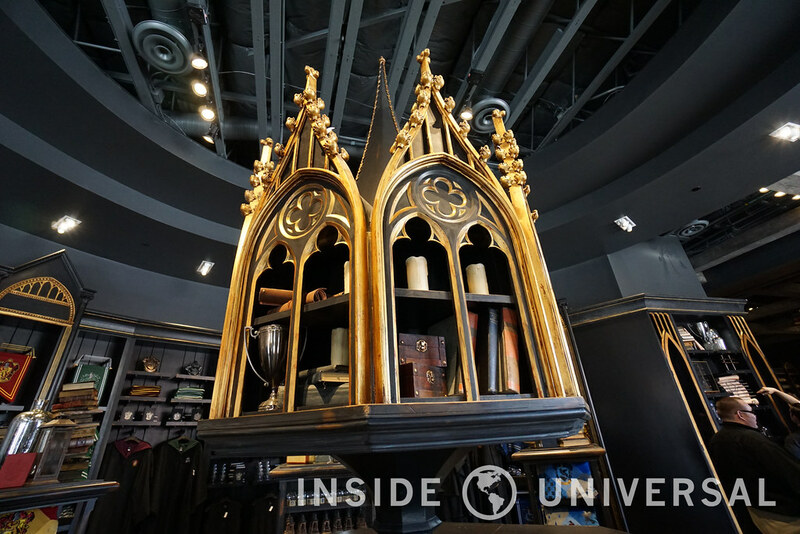 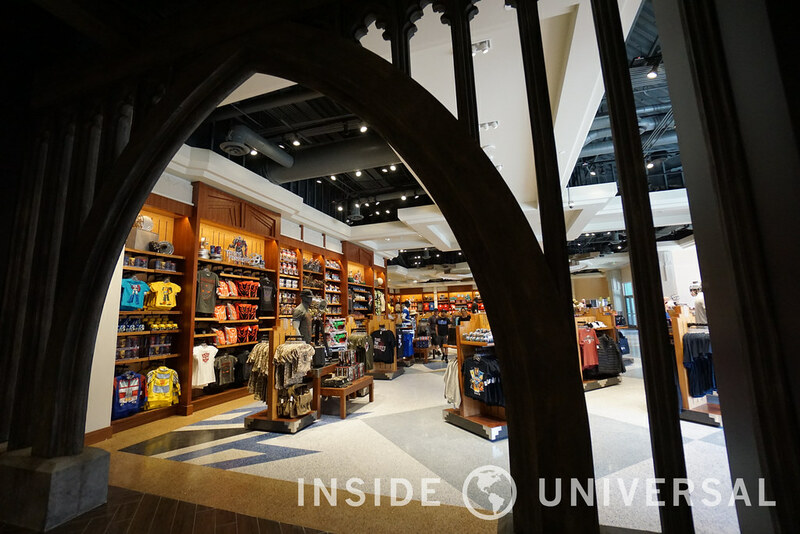 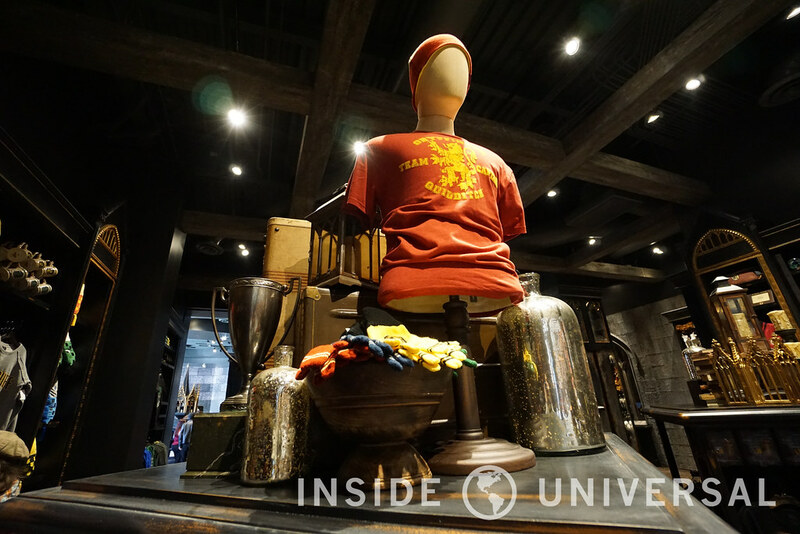 Featuring Gothic archways and shelves inspired by Universal’s latest land The Wizarding World of Harry Potter, guests can now find Potter-themed apparel and toys in the newly expanded Universal Studio Store in addition to the gift shops featured inside Hogsmeade. 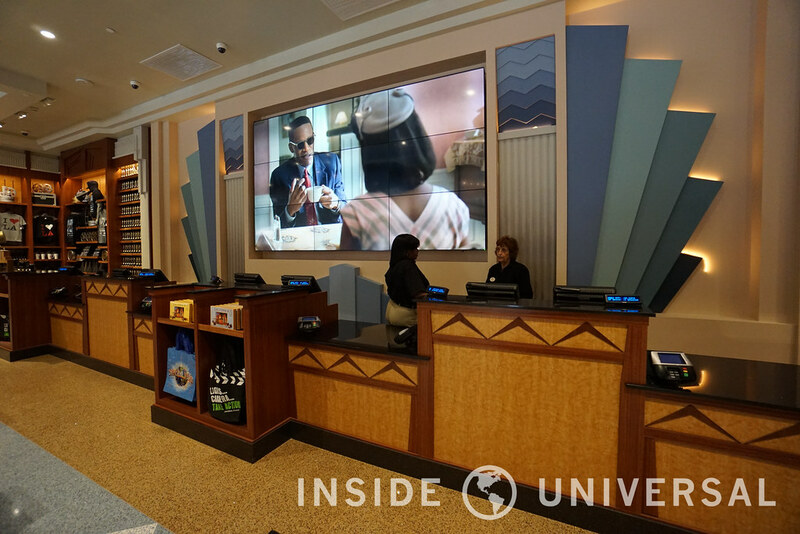 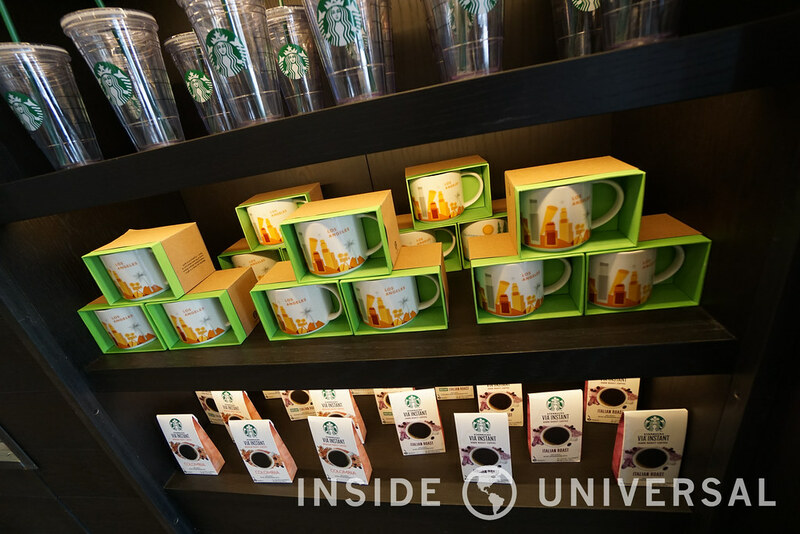 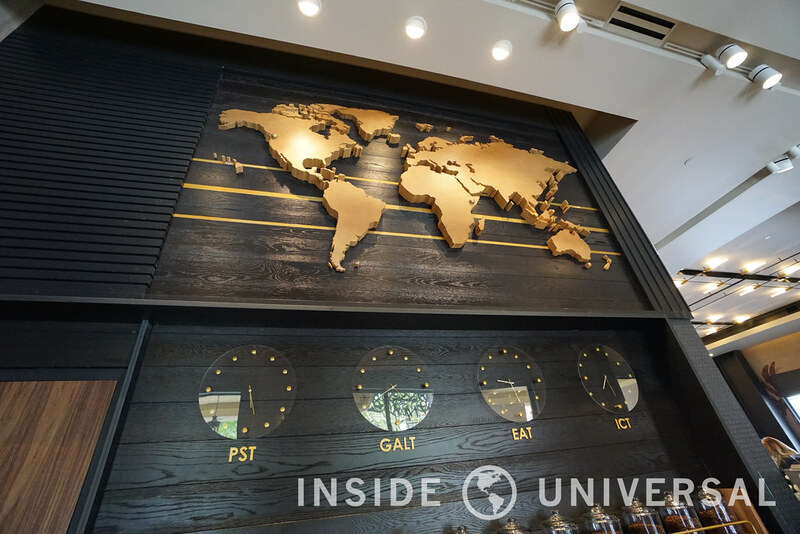 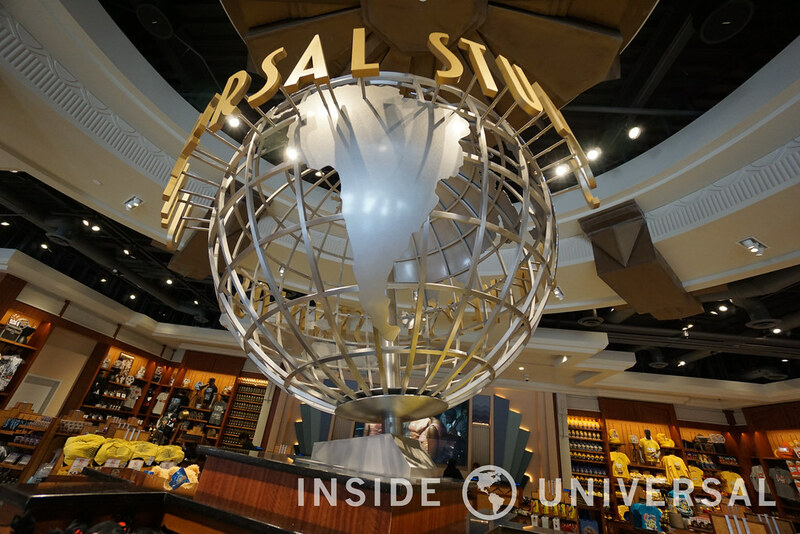 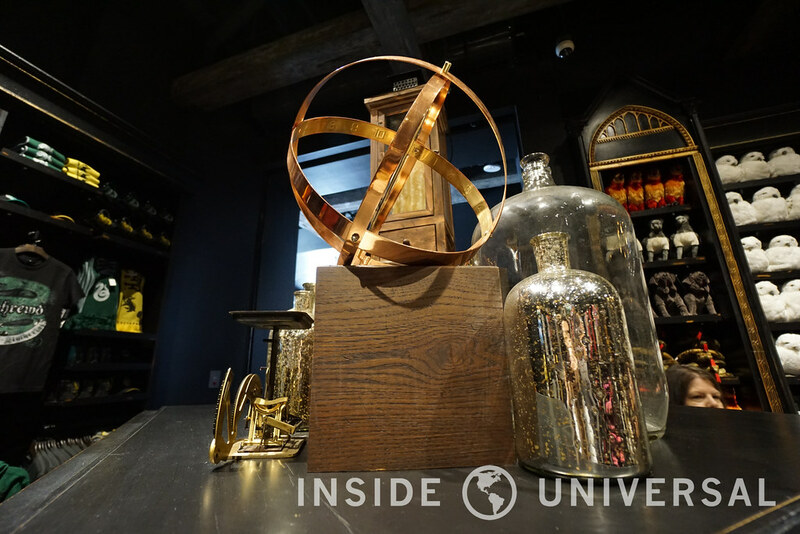 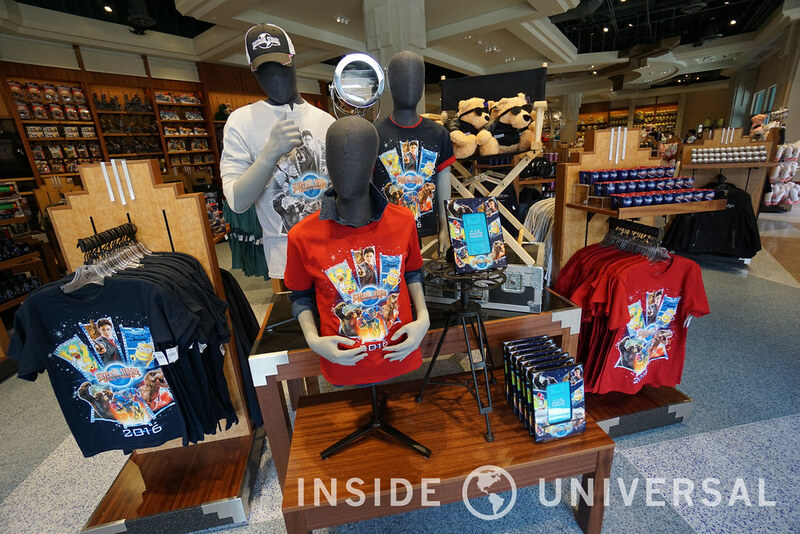 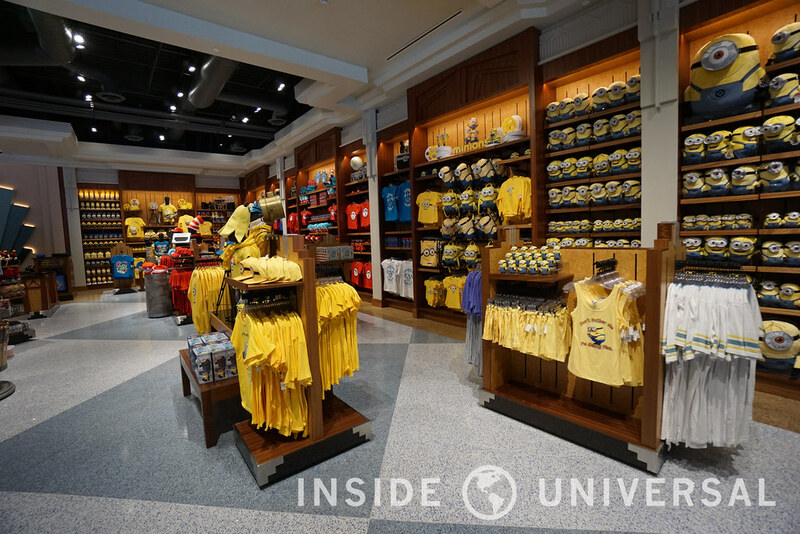 The store also features a miniature Universal Studios Hollywood uni-globe as the iconic centerpiece of the store’s new interior. 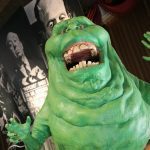 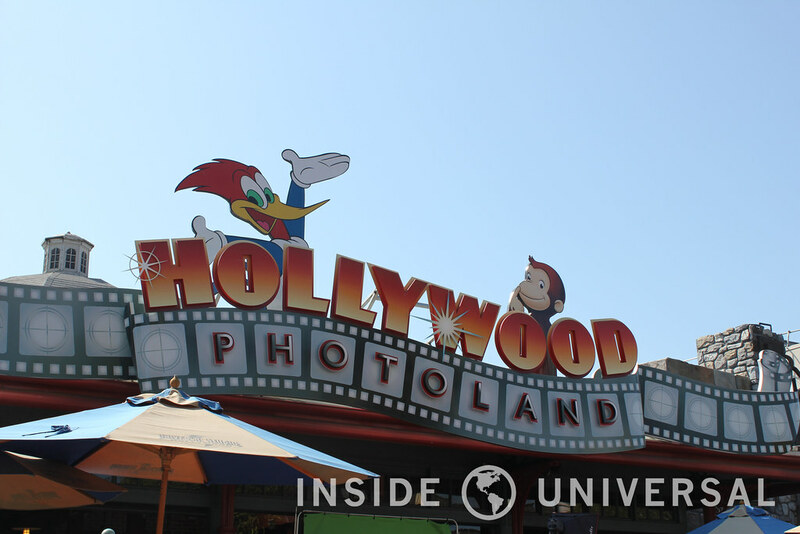 Universal Boulevard can trace its origins to the demolition of Hollywood Photoland and Universal’s House of Horrors back in 2014. 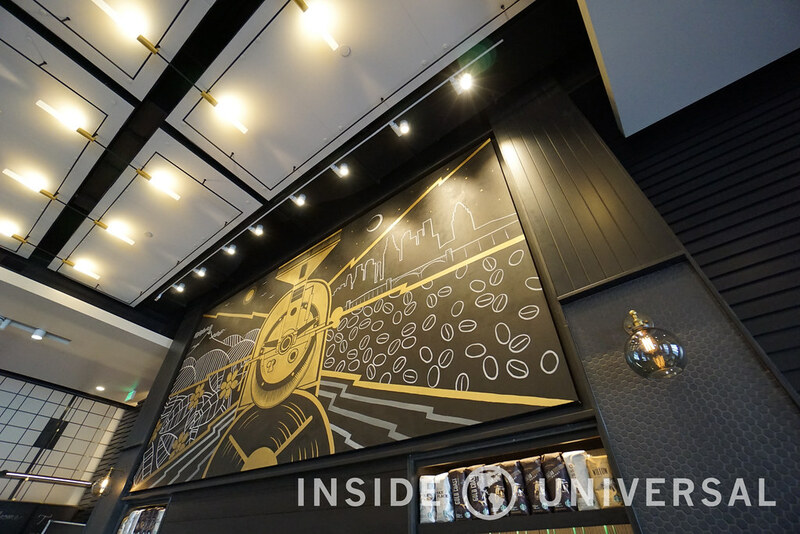 The area – once known as Vitoria Station – ounce housed a full-service restaurant and several year-round mazes. 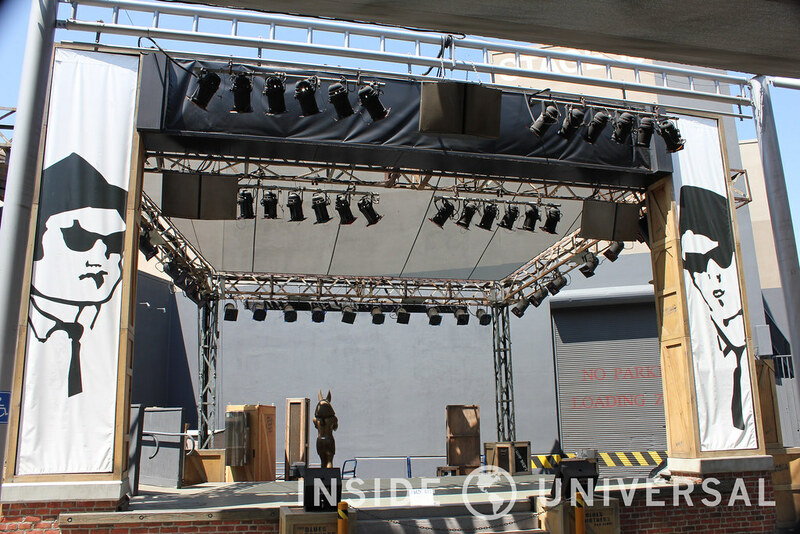 The iconic Blues Brothers stage show was also featured prominently along Universal’s entrance, also closing in 2014 to make way for a retail, dining and entertainment expansion. 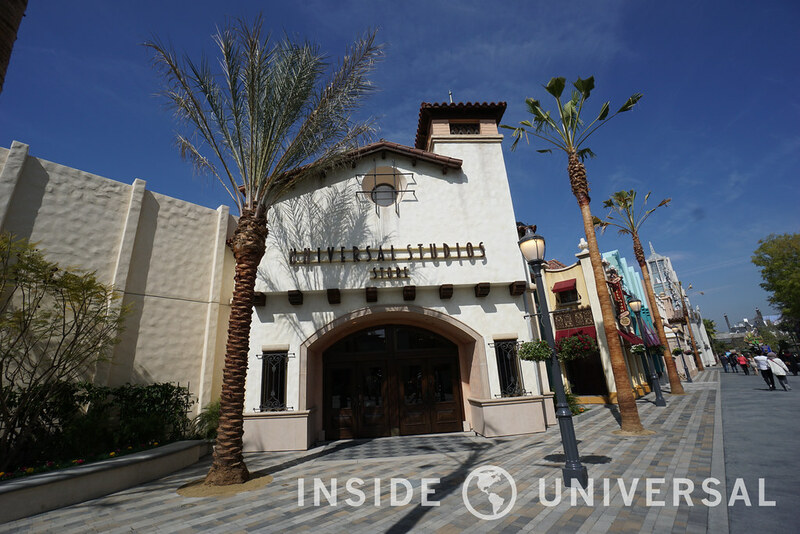 While promises of dining and retail have come to fruition, the building’s entertainment section – housed in the back portion of Universal Boulevard – has yet to debut. 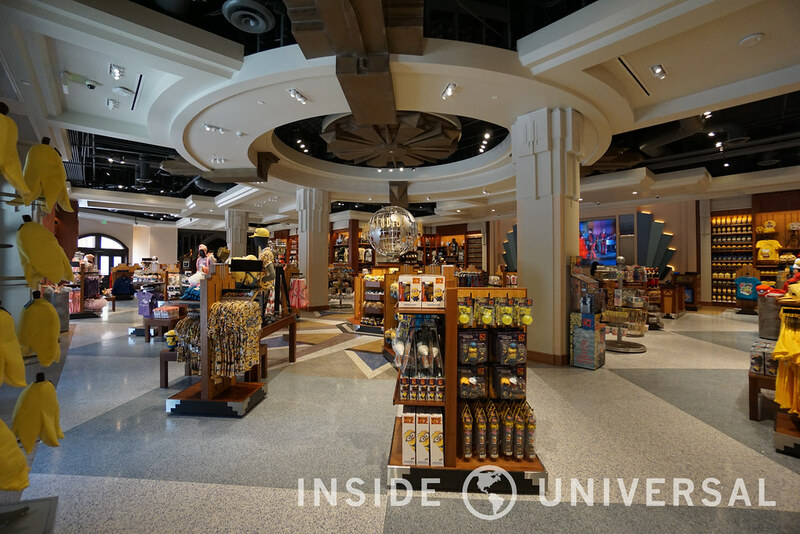 In the meantime, we’ve included additional photographs of Universal Boulevard below. 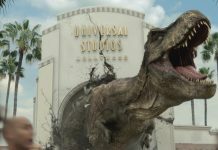 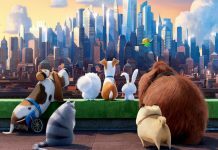 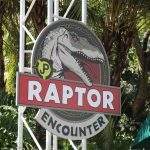 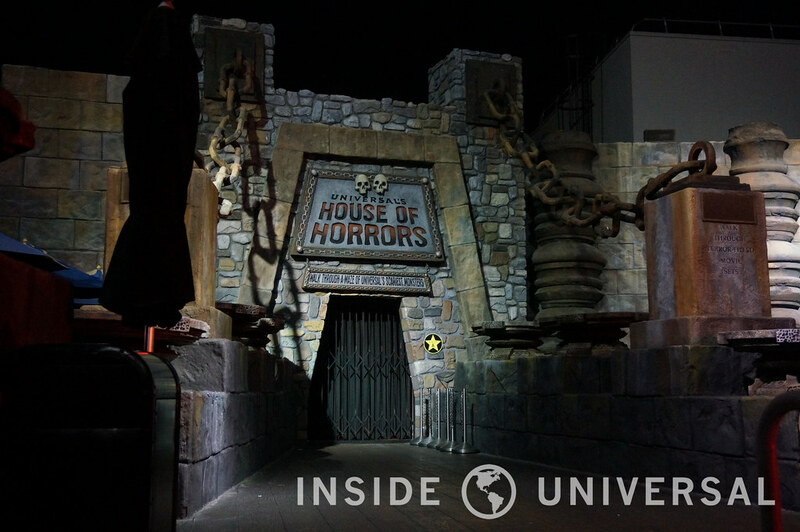 Please stay tuned to Inside Universal for more on this and other stories originating from Universal Studios Hollywood.